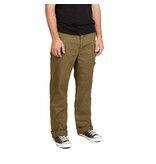 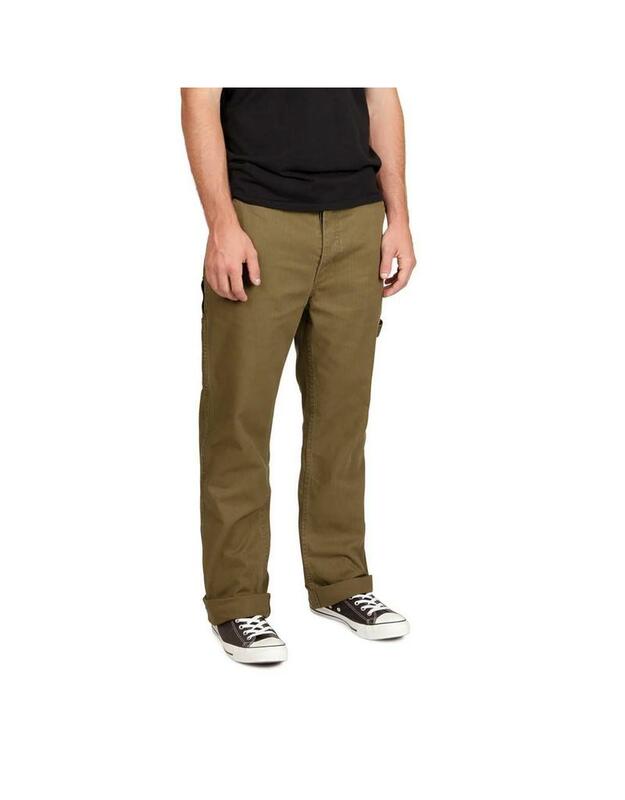 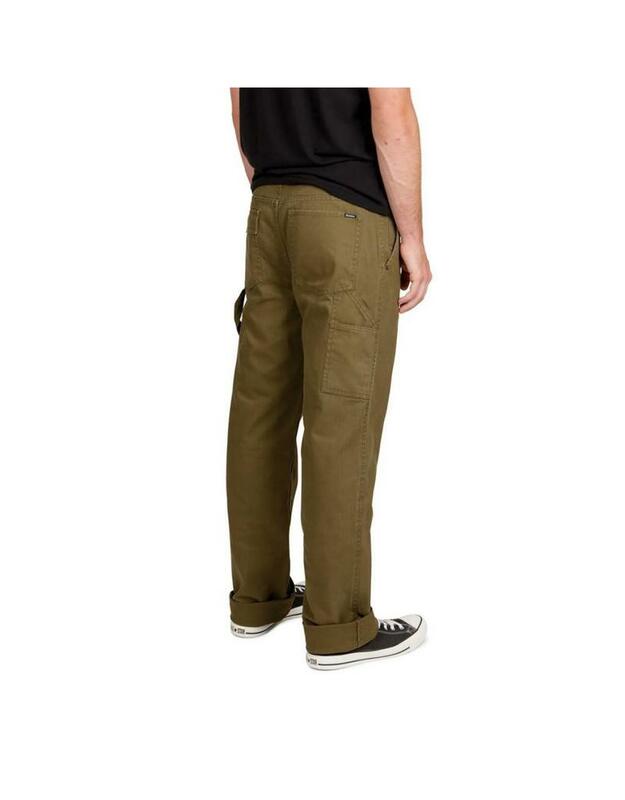 The Brixton Fleet Rigin Carpenter Pants are a relaxed fit pant with a straight leg. 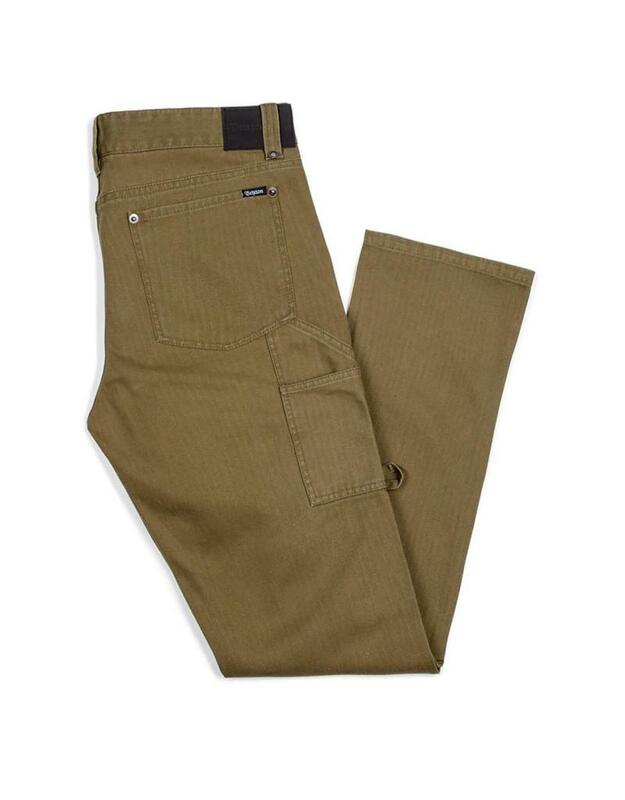 They are made of 10oz heavy duty cotton herringbone. 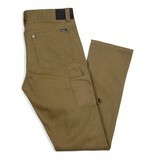 They also have a bunch of different utility pocket, button fly and a customized warn wash look to them. 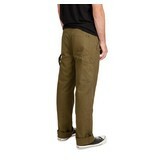 These have an 18" leg opening so they are slightly baggier than an average straight leg pant.